This Organic Green Tea Powder is recommended to be mixed with honey, sugar, lemon or chocolate. 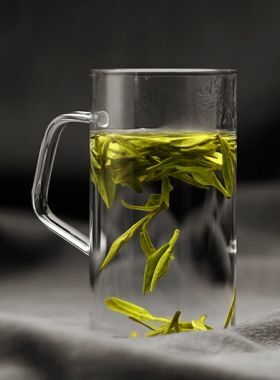 When brewing this green tea powder, use 2g of tea for about 60-70mL of water. 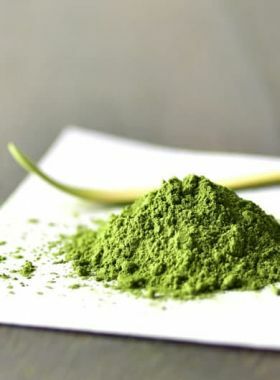 In order to protect the nutrition and taste of this tea, we recommend brewing between 60 and 80℃, and when brewing green tea powder like this - or matcha - you need to use a chasen, or tea whisk, to stir the powder into the liquid and bring out its unique taste. The rich flavor of this tea comes from the abundance of chlorophyll and amino acids in the powder. 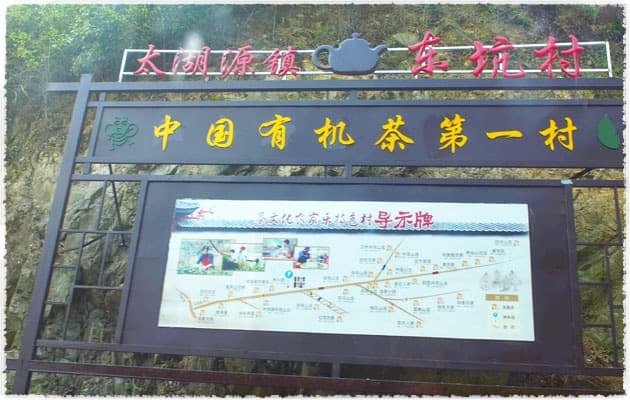 Dongkeng Organic Tea Garden is located east of Tianmu Mountain in Lin’an, Hangzhou. 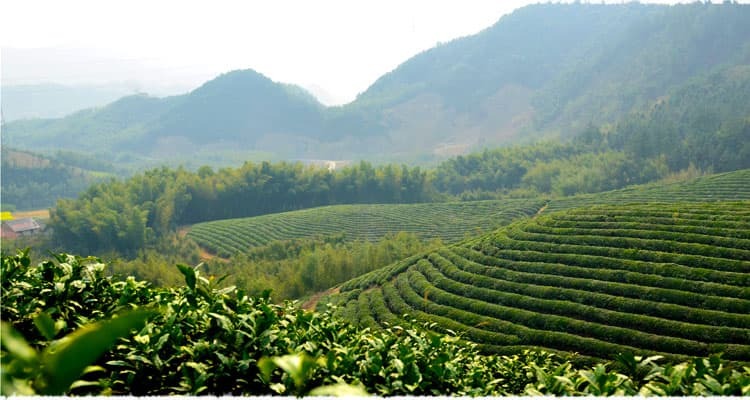 This was the first village in China to export purely organic tea, and it stands out for its pleasant natural environment, ideal for producing great organic teas. The gardens are at an elevation of between 800 and 1000 meters. Ms. Liao, who has been in the organic tea industry for about ten years, went through the arduous process of founding an organic tea plantation from scratch. 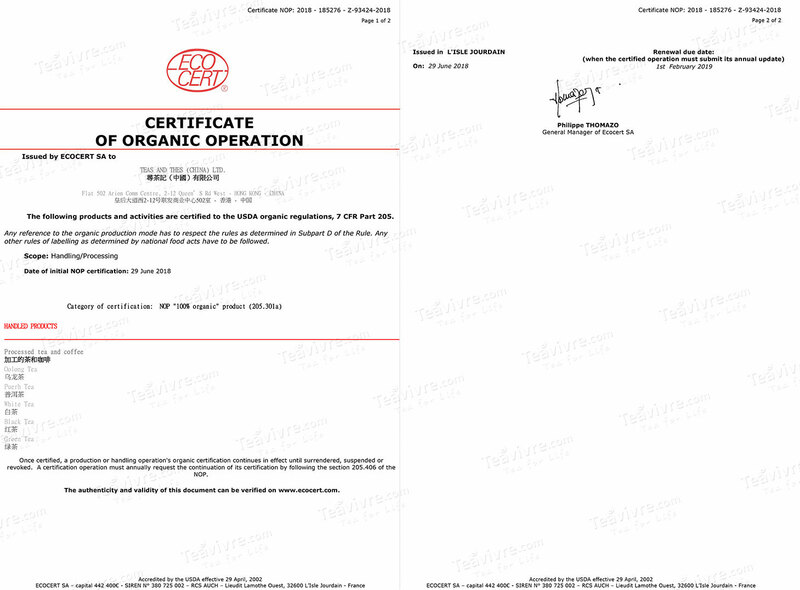 After several years of hard work and development, her organic garden is now fully established. 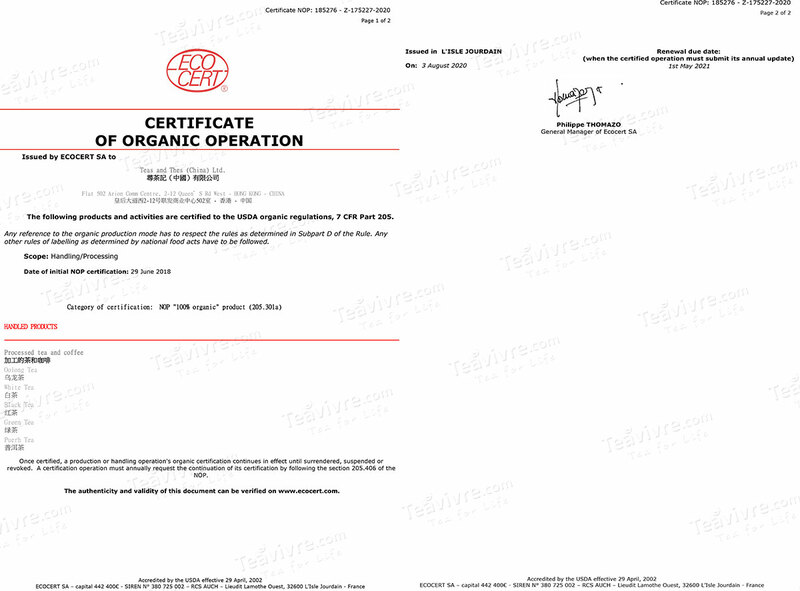 It has earned the USDA, EU, and JAS organic certifications, ensuring the natural healthy quality of the tea grown there. This organic green tea powder comes from Tianmu Mountain in Lin’an, in the northwestern part of Zhejiang Province. In Chinese, “Tianmu” means “Eyes of Heaven”; this name comes from two pools up along the mountain peaks, looking like eyes always gazing at the sky. 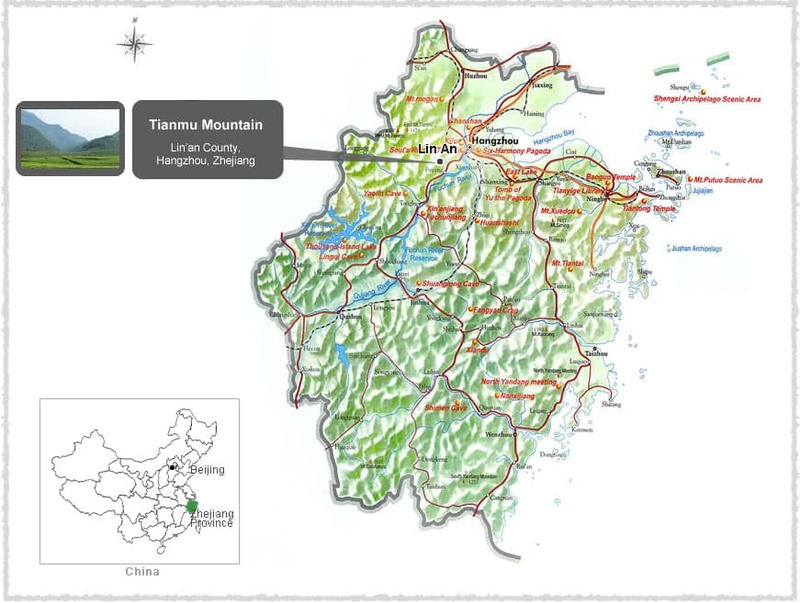 At an elevation of 300 to about 1550m, Tianmu Mountain is well-known for its forest ecosystem and subtropical climate. The leaves for this tea come from plants of the Jiukeng species. This variety of tea plant was originally found in Chun’an, Kaihua, in Zhejiang Province, and then also in Anhui Province. 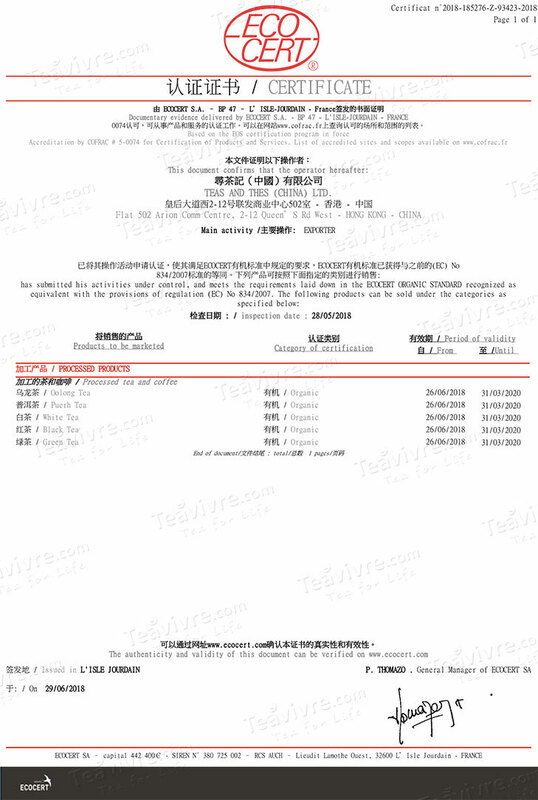 In the 1950s it was introduced to tea-growing areas all across Zhejiang, and then in 1985 was verified as a national species. 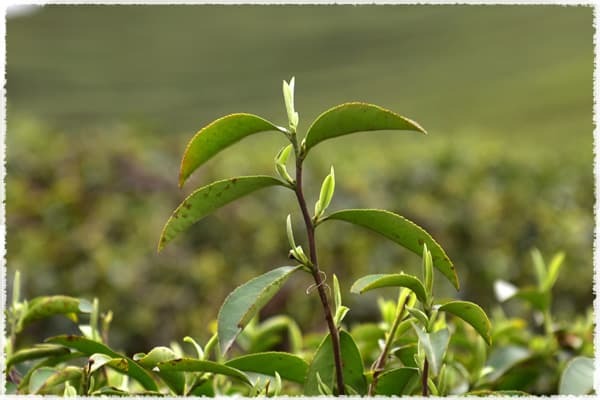 The dry, spring leaves of this tea contain about 3.4% amino acids, 20.9% tea polyphenols, 13.3% catechins, and 4.1% caffeine, marking them as suitable for producing green teas.